With the help of technology, it is no doubt to say the century for tech start-ups and enterprises has begun. Nothing can compare how incredible it is at the early stage of startups when all your vision and ideas come into the light, and your dreams are appearing in front of your eyes. However, tech startups and enterprises have their fair share of challenges. Startups have a limited budget to expand development team and lack of IT experts which leads to the fact that they have to wear many hats to do branding, maintaining a website or other technical specifics without expertise. Then, it is the time to find your technology co-founder and consultant to solve all the problems and leverage your business to rocket the market. 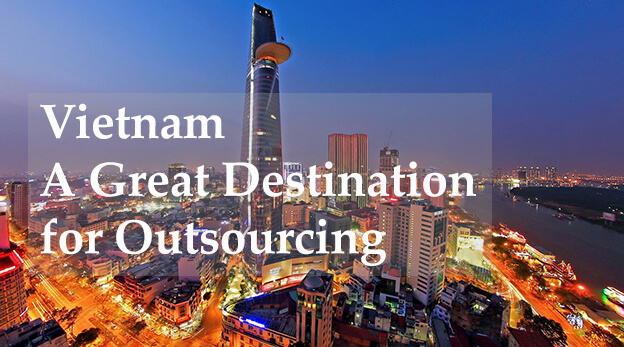 Vietnam become great destination for software outsourcing. From a glimpse of Vietnam’s IT market, Vietnam software companies become great destination for many new high technology hubs such as LG, Samsung, Sony, etc… Technology boom in Vietnam has been noticed thanks to the worldwide success of Flappy Bird which transformed the country from relative obscurity to the Southeast Asia product hub for Samsung Electronics in recent years later. Vietnam offers more than just cost advantages. It provides a whole benefits package for startups and SMEs range from cost to variety of services such as a virtual “tech co-founder” and consultant. The labor cost with IT outsourcing companies in Vietnam is economically attractive. It is less expensive than India up to 30% while it is just half the cost compared to Eastern Europe. “Vietnam has the highest-performing computer science students I’ve ever encountered,” said Neil Fraser, a software engineer at Alphabet Inc’s Google. As 60 percent of the population is under 30 years old, Vietnam has broad of profuse young, fast learning and hard-working resources. High English proficiency is also an advantage skill that Vietnamese labors meet a global standard, compared to China where communication is still a language barrier issue. Vietnamese workforce is continuously distributed by 40 thousand ITs graduated annually, and provided by more than 290 universities and colleges with ICT training programs that ensures all graduates meet a need from the global market. In addition, Vietnam has strong support from the government for the growth of high-tech sectors. The government aimed to make technology as a national economy in 2020. Many projects have been approved by the government. One of the outstanding project is to invest in IT environment in Hanoi, Ho Chi Minh City, and Da Nang and made it become high-tech parks and software parks, where “develop hi-tech human resources and enterprises, and the production and trading of hi- tech products” across Vietnam. This makes Vietnam a great destination for it outsourcing technology projects from the world. Vietnam has been showing its attractive advantages in the battle of outsourcing, where India and China have taken control. With a board of young skilled resource, political stability, and supports, many predict that Vietnam will be a Silicon Valley in Eastern hemisphere in the near future.